Reivers Sports Bar in Galashiels. A man has been fined a total of £500 at Selkirk Sheriff Court after he admitted breaking a pane of glass at a Galashiels bar, then causing a disturbance at the Borders General Hospital at Melrose. David Anderson, 31, pleaded guilty to committing those offences at Reivers Sports Bar and at the hospital on November 21. Selkirk Sheriff Court was told that he was refused service by bar staff because he was intoxicated and went into the beer garden. He got involved in an argument with an off-duty staff member there, then picked up stones and smashed a window with them, causing £150 worth of damage. Police arrested him nearby and he was taken to the hospital because he had an ankle injury but he was abusive to staff there. Procurator fiscal Graham Fraser said the casualty department was busy but Anderson was shouting and swearing and refused to desist. 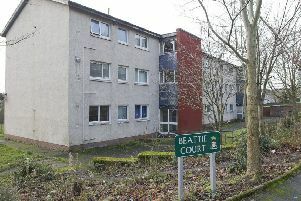 Anderson, of the Crescent, Gorebridge, Midlothian, told the court he could not remember anything about the incidents but apologised for his behaviour. He was fined £200 for the pub offence and £300 for the hospital disturbance.